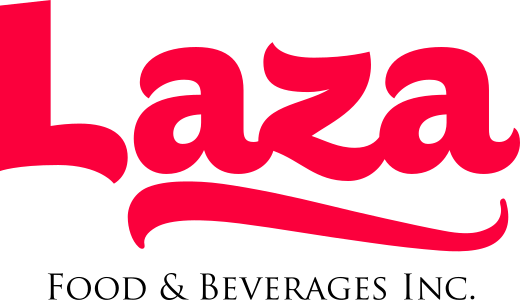 LAZA FOOD & BEVERAGES INC.
GUELPH, December 12, 2017 — Laza Food & Beverages Inc. is proud to announce the launch of its new branding for its line of Hibiscus tea beverages. The branding includes new features with clear and consistent messaging, labels and web presence. The objective of the rebrand was to provide Laza’s customers with easy access to information about the teas, their flavours and their benefits. Included in the branding strategy is the re-launch of its labels, which are now full bottle sleeves which provide clear product descriptions with unique colour schemes. “We are so pleased with the development of our new look, how it is so fresh and lively” says Melku Gebrekristos, CEO of Laza Food & Beverages. “We know that we have a great product, in terms of taste, health benefits and refreshing hydration, and we really wanted the new branding to reflect this. I think that we have achieved this goal, and so far our customers have said that they really like the look”. Laza’s beverages are available in 473 ml bottles, and by wrapping the entire bottle, the labels will remain in excellent condition from manufacture to retail to the consumer. Additionally, Laza has updated its website and social media presence to show the new look. “Reaching our loyal customers with something new is what we strive for, and also having them see our products from across the shopping market aisle is important for recognition and sales” says Gebrekristos. “By providing a look which is attractive, an amazing product within the bottle, and unique flavours based upon the Hibiscus plant, we know that we have a winning combination”. Hibiscus is a flowering plant that grows in tropical and semi-tropical areas in Asia, Africa and South America. Indigenous populations used Hibiscus for thousands of years as a medical treatment. It is said that the Pharaohs of ancient Egypt used to drink tea made from Hibiscus to regulate their body temperature during hot summer days. Recent research also has shown that drinking Hibiscus tea can help reduce blood pressure in patients with hypertension more effectively than some prescription medicine, and hibiscus tea contains more antioxidants than Green Tea. About Laza Food and Beverages Inc.
For more information, please contact Tel. 519.731.2204 or Email: info@lazafandb.com. Copyright © 2017 Laza Food & Beverages, All rights reserved.